Available August 14 on CD and digital formats. New name. New album. Same crisp and honest conscious VI reggae vibes. Please contact joshua [@] soulofthelion.com for promo copies. 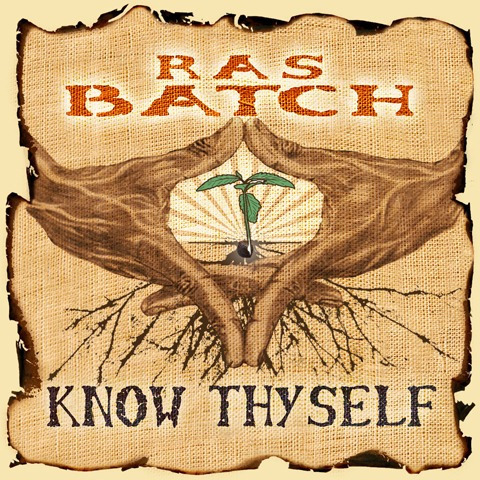 (July 27, 2012, St Croix, Virgin Islands): With a soaring, honest, pure voice and strictly conscious lyrics, Know Thyself, Ras Batch’s highly-anticipated seventh album brings together the talents of the Virgin Islands and Jamaica in a unique and special roots reggae release on I Grade Records. I Grade Records' founder and producer, Laurent 'Tippy I' Alfred produces and plays on the album, further developing the rich reggae community coming out of the Virgin Islands. In addition to the crisp arrangements of the Zion I Kings (Alfred, Andrew ‘Moon’ Bain, Jah D) Know Thyself also connects with a ‘who’s who’ of standout musical talents from Jamaica including Leroy ‘Horsemouth’ Wallace (drums), Dean Fraser (sax), Andrew Bassie Campbell (bass), Earl ‘Chinna’ Smith (guitar) and more. Ras Batch, whose acclaim stretches from his homeland of the Virgin Islands to as far as Brazil, France and throughout the United States, is set to travel even further, promoting positive vibes and the ability of roots rock reggae to bring together like-minded conscious people in unity and love. Know Thyself drops August 14 on CD and digital formats. Unity of music and message is the real strength of Know Thyself as heard on “Jah Children”, which kicks off the album through a traditional Binghi drummingperformance, and the anthem “Together”, the first single off the album and now setting the roots reggae community ablaze with its infectious melody, laser-sharp lyrics, and positive vibes. “Give Jah Thanks for Life” sees Ras Batch alongside the legendary and unmistakable talents of guitarist Earl “Chinna” Smith and saxophonist Dean Fraser. Chinna lends his hand to a number of future modern roots classics on the record like “Live Pray” and “Guns On The Street” whereLeroy “Horsemouth” Wallace provides the drums. The lyrically powerful “Dem Against Jah Rules” underlines the strength of the roots in VI reggae today and fellow Virgin Islands talent Niyorah guests on the environmentally conscious herb anthem, “Trees” which boasts a rich, organic sound, with melodica and organ melodies adding to the stripped-down, emotive vibes. Showcasing Rastafari faith and anthems of upliftment, Know Thyself highlights Ras Batch’s multiple talents as musician, producer, singer and songwriter. “Sacramental Herb” features the artist not only on vocal but also drums, keys and bass. Speaking of bass, Andrew ‘Bassie’ Campbell makes a return appearance on an I Grade Records release (following up on the widely hailed 2011 album he produced for Midnite called Kings Bell). Campbell’s influence is heard on a number of tracks as well as “Stay Fit” on which his signature uptempo drum and bass compliments Ras Batch’s energetic message perfectly. And no I Grade Records release is complete without the instrumental voice of the Zion I Kings production trio consisting of Tippy I, Andrew ‘Moon’ Bain (of Lustre Kings) and David ‘Jah D’ Goldfine (Zion High Productions). Here, the Zion I Kings musical direction permeates the album ensuring seamless connections between the musical and lyrical messages crafted by Ras Batch. From the crisp percussion on “Roots Tradition”, to the vibrant guitar riffs of “Together” and the lilting melodies on “Love Always”, the message is often in the music. Ultimately, the message is one in which the sum of the 17-track album sends one coherent vibe in a variety of ways. Those who feel it, know it. With Know Thyself, Ras Batch firmly solidifies his place amongst the powerful acts hailing from his home country. From Pressure to Niyorah and Midnite, among many others, Ras Batch is yet another example of the inspiration the US Virgin Islands provides to the world of reggae music and world music at large. Growing up on the island of St. Croix, in the US Virgin Islands, the artist born Julian Cumberbatch was born into a musical community, raised on melody and, especially, rhythm. Taking up the drums as a teenager and taking part in music at his church, Ras Batch understood early the spiritual power of music. His first foray into the music industry was as drummer for Jamaican roots reggae singer Danny Tucker. He then moved into the role of singer himself, forming the Boston, MA-based band Motion alongside brothers Eddie 'I-DE' and Reggie 'I-GE' Beazer. The band’s strong tunes and message of peace, love and unity led to the title of Boston’s best Reggae Band for five years running, and gigs supporting some of the best talents in reggae music, from Anthony B to Buju Banton to Capleton to Tony Rebel—and many, many more in between. 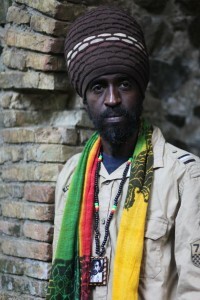 Founding his own label in 1999, Sound V.I.Zion Records, Ras Batch has released six previous solo albums, including the standouts: Who You Are (2003), Keep the Faith (2004) and Vizionary (2008). He has also produced and released the acclaimed compilation series Culturellenium (vol. 1 & vol. 2), as well as solo albums by Ras Attitude and Mada Nile. Now, still focused on African musical liberation and vibes for the mind and body, the prolific Ras Batch has released his most powerful record yet.